It’s not quite as spooky in the real estate listing. A day after the happy news that Cameron’s house from Ferris Bueller’s Day Off had finally sold after five years on the market comes word that another Chicago-area piece of film history is on sale. This time, it’s the house where scary/friendly Old Man Marley lived in the 1990 classic Home Alone. Old Man Marley, known by some as the South Bend Shovel Slayer, was the grumpy hermit who lived in the big house down the street from Macaulay Culkin’s Kevin McCallister. Well it appears like the dimwitted robbers chose the wrong house, because Mr. Marley’s home is a lot nicer — and more expensive — than the McCallister house and its pesky, clever moppet. 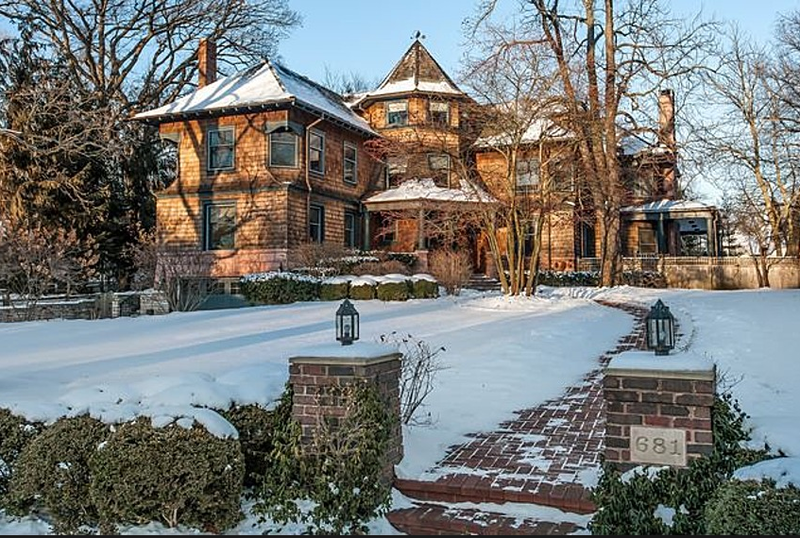 The Winnetka, IL, house, built in 1899 by Benjamin Marshall has hit the market for $3.1 million. The 7 bed/6.5 bath property has more than 4,600 square feet and sits on about 2/3 of an acre. Back in 2011, the McCallister house from the movie — also in Winnetka — went on sale for $2.4 million, then dropped to $2.175 million later that year. It ultimately sold in 2012 for $1.585 million.